The first Print Biennale India - 2018, an international exhibition of graphic prints began in New Delhi on Sunday. 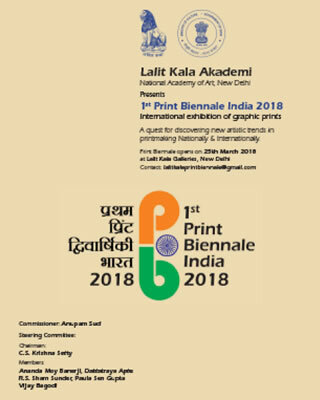 The event, organized by Lalit Kala Akademi, is aimed at discovering new artistic trends in printmaking nationally and internationally. The exhibition will continue till 22nd of next month. Artists from across the world have sent their works and are showcasing their artwork in this international exhibition.